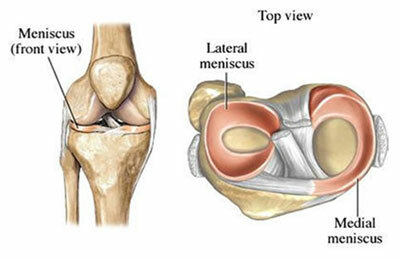 The Meniscus is important for transmitting load across the Knee. The Menisci increases the surface area of contact and fills the gaps between differently shaped articulating surfaces. 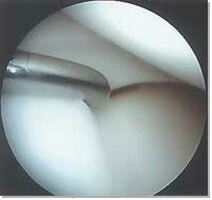 The Medial Meniscus is more C-shaped, while the Lateral Meniscus is more O-shaped. It lies within the Knee Joint and is about 4 cm long, binding the Tibia to the Femur. The ACL prevents forward slipping of the Tibia on the Femur and stops hyperextension of the Knee.